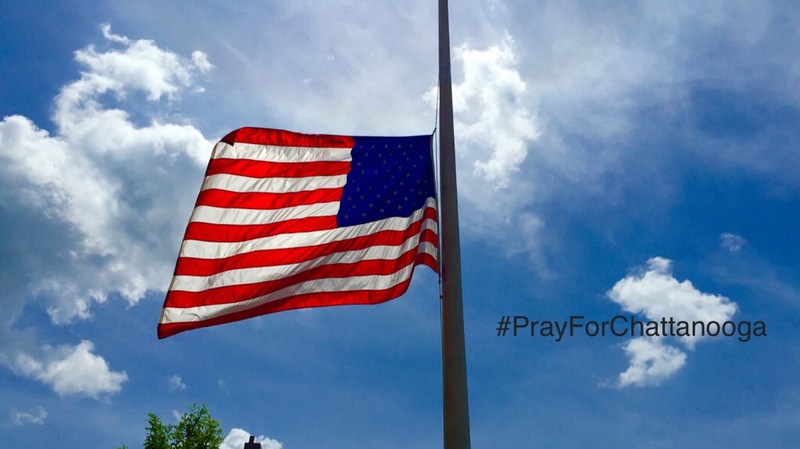 Yesterday’s terrorist attack on the people of Chattanooga was an attack on our military, our community, and our nation. Four unarmed, brave Marines were gunned down by a twisted individual, and has left our city in a state of shock. It has driven us to our churches and to our knees in prayer for the families of those killed and injured, for our city, our state, and our country. It is past time for America to return to God, and for that to happen, it must begin with the people of God, turning to Him in repentance and humility. We invite all people of faith in God Almighty, – the Great I AM – to cry out to Him in worship and reverence, and to fill our Houses of Worship in Chattanooga and around the nation this Sunday as we seek His face, turn from our wicked ways, and ask Him to forgive and heal our land.